Yes, U can by renting our film gears & shoot a low budget production! Let's face it: how many times you had to give up because you couldn't meet the required budget and quality for your video production, music clip, TV commercial or indie movie? FILM AIM is now aiming your filming goals by providing lighter, eco-friendly modern equipment to save you big money in crew, transports, electrical generators which, btw, it all means saving time as well, because time is also YOUR money. Watch the video below to learn the secrets to make a million $ film with a 10% of the budget! algarve & andalusia : the perfect location ! quality shooting without compromise ! Algarve & Andalusia, the two southern regions of Europe of Portugal & Spain have usually a mild and sunny climate during winter, making the ideal location for external shooting, without the stress of tourists and traffic with the benefit of most internal locations available at a reasonable price. Find out more also by the Algarve or the Andalusian Film Commissions for permissions and local contacts. @ FILM AIM quality video shooting is a MUST: we care about the lighting & the cine look and to achieve this goal we'll assist your DP or Cinematographer to find the best solutions with our film equipment. Together with you, either as Director or Producer, we'll assist for casting English speaking local extras, crew, make-up artists, stylists, hairdresser, etc. to cover all film departments needs for professionals. 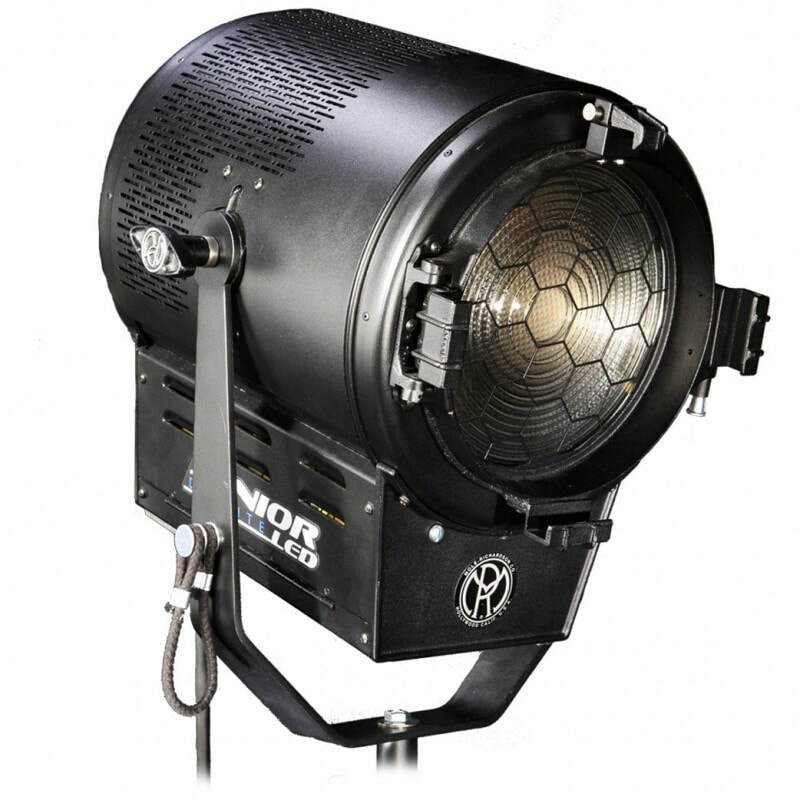 Mole-Richardson 900W LED Fresnel daylight with 21528 Lux @ 3 meters distance (spot) to connect to a 220V socket from 115€/day, included stand and weight. Reserve it now!